Born in 1960 in Vancouver, Michael graduated from Prince of Wales Secondary School in 1977, going on to attain a Bachelor of Arts degree in Philosophy from the University of British Columbia in 1983 and a Bachelor of Laws degree, also from U.B.C., in 1987. He was called to the bar in British Columbia in May, 1988. Immediately after being called to the bar, Michael hung up his own shingle in Vancouver’s historic Gastown area, quickly developing a preference for criminal defence practice. 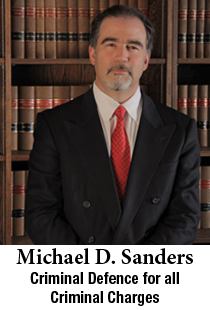 In 1989, in his second year of practice, Michael met Kenneth G. Young, Q.C., a senior criminal practitioner described by the Vancouver Sun as “one of the best criminal lawyers in Canada”. Ken became Michael’s mentor and later associate counsel. Michael took over the reins of Ken’s practice when Ken was diagnosed with cancer in 1999. Michael kept his office in the renovated character house on the edge of Yaletown where they practiced together for those ten years. He is now honoured to be a member of the prestigious Melville Law Chambers at the corner of Melville and Thurlow in Vancouver’s business district. Over the last twenty-eight years, Michael has defended virtually every charge imaginable, from shoplifting to first degree murder and, in doing so, has carved out a reputation for meticulous preparation, skilled cross-examination, knowledge of the law and, most importantly, securing positive results in case after case for his satisfied clients.